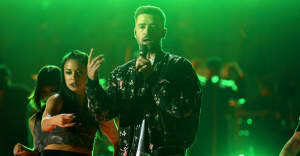 Justin Timberlake, Pharrell, and Ariana Grande will perform at a free concert in Charlottesville later this month. Dave Matthews Band will headline "A Concert For Charlottesville" on September 24. The free Scott Stadium show is designed to raise community spirits in the wake of events in August which saw one person killed following a rally by far-right protestors. The line-up for the show also includes Chris Stapleton, Brittany Howard of Alabama Shakes, The Roots, Cage the Elephant and special guests to be announced. Attendees are encouraged to make a donation to the “Concert for Charlottesville Fund” at the Charlottesville Area Community Foundation. Money raised will go to victims of the events in Charlottesville on August 11 and 12, and their families, first responders, and organizations devoted to the promotion of healing, unity and justice locally and nationwide. Local residents and UVA students will get priority on the free tickets. 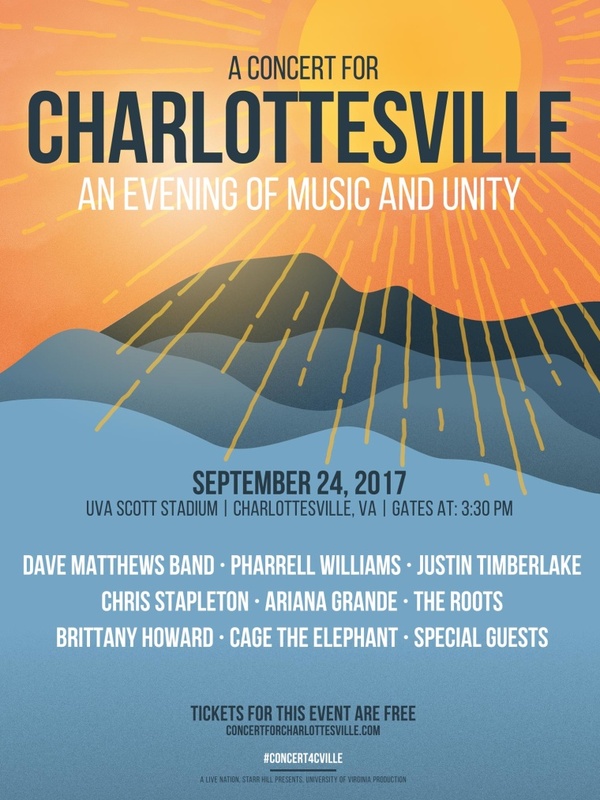 An online ticket request period is currently underway at www.concertforcharlottesville.com and will end on Monday, September 11, at noon.